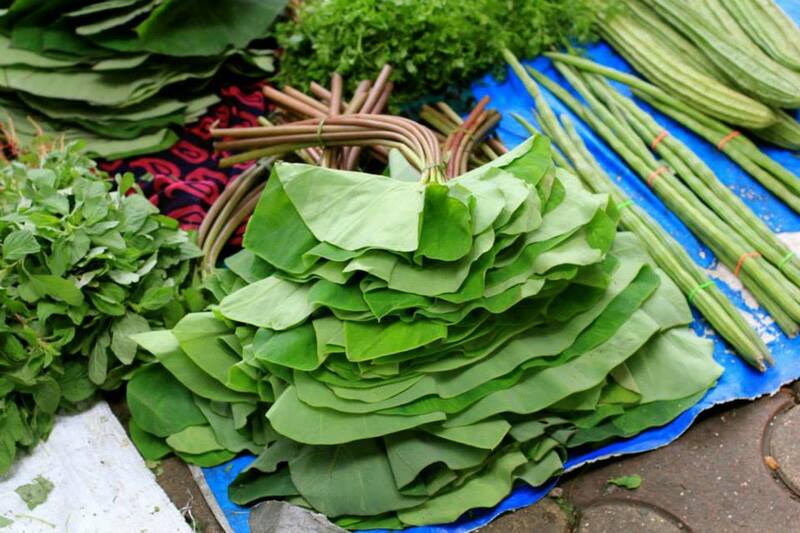 Alu wadi or alwachi wadi is a Marathi snack made from Colocasia leaves. 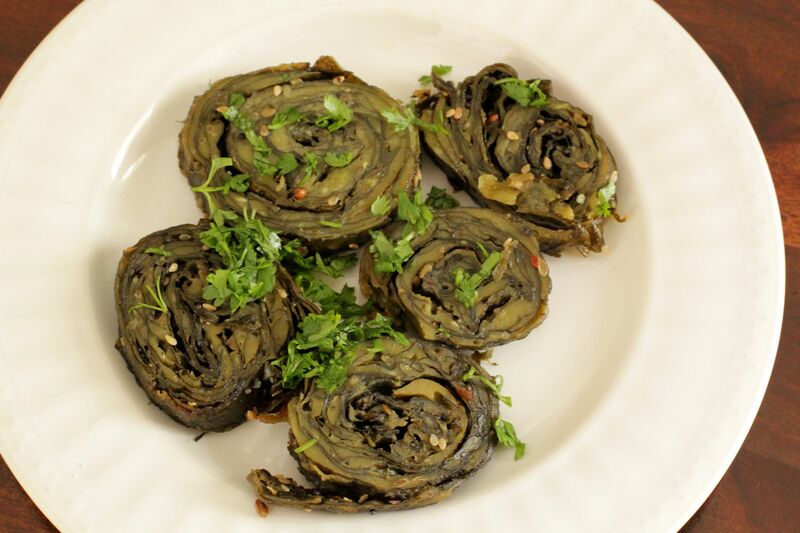 The leaves are layered with a thick paste made of besan (gram flour), jaggery, tamarind pulp and spices. After layering, the leaves are rolled up and steamed. After steaming, they are cut into round discs and either eaten straight away with a mustard seed tempering or better still, fried under crisp. A very unusual and delightful snack, thanks to the combination of the slightly bitter leaves and the spicy & tangy mixture that is used as a filling between each layer. This entry was posted in Marathi cuisine and tagged alu wadi, savoury, snacks. Bookmark the permalink.